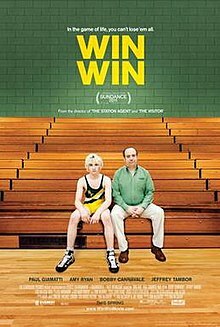 Mom and Pop Records released the Win Win Soundtrack; Music from the Motion Picture Win Win digitally today, March 22, 2011. The soundtrack includes an original score by Lyle Workman (Get Him To The Greek, The 40 Year Old Virgin, Superbad, Forgetting Sarah Marshall) and features a new original song by The National called “Think You Can Wait.” The soundtrack will be released on vinyl and CD in April 2011. Buy the soundtrack on iTunes. For more info on the film Win Win, please visit Fox Searchlight.